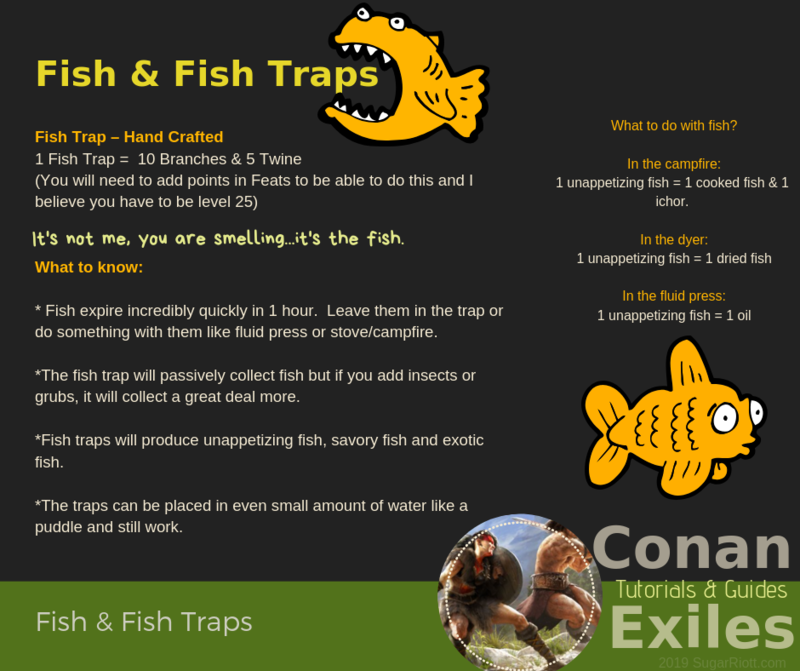 Posted on March 27, 2019, in Conan Exiles and tagged burn, camp, collect, Conan Exiles, dryer, dy'er, exotic, expire, fire, fish, fishes, fluid press, ichor, inchor, limit, oil, passive, stove, time, unappetizing, unsavory. Bookmark the permalink. Leave a comment.